Throughout nature, hair-like structures can be found on animals and plants at many different scales. Beyond ornamentation, warmth and a sense of touch, hair is also a natural responsive material that interfaces between the living organism and its environment by creating functionalities like adhesion, locomotion, and sensing. Inspired by how hair achieves those properties with its unique high aspect ratio structure, we are exploring ways of digitally designing and fabricating hair structures. 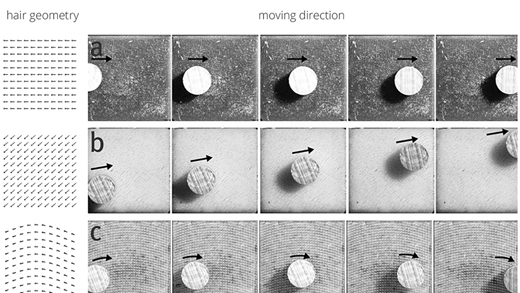 This work presents a computational method of 3D printing hair structures. It allows us to design and generate hair geometry at 50 micrometer resolution and assign various functionalities to the hair. 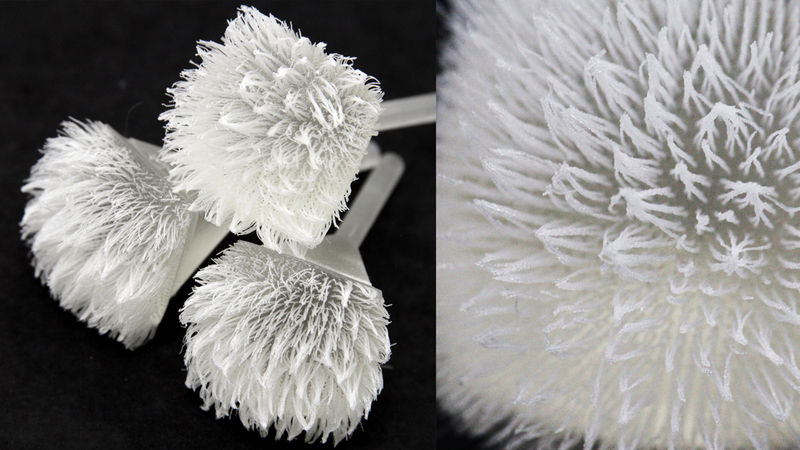 The ability to fabricate customized hair structures enables us to create super fine surface texture; mechanical adhesion property; new passive actuators and touch sensors on a 3D printed artifact. We present applications to show how the method can be used for designing everyday interactive objects. Cilllia is a way we developed to quickly and efficiently model and print thousands of hairlike structures. Using conventional computer-aided design software would mean drawing thousands of individual hairs on a computer, translating each hair’s contours into a mesh of tiny triangles, and then turning cross sections of that mesh into layer-by-layer pixelated instructions for the 3D printer to follow, a process that would take hours. Cilllia bypassed all that with a new voxel-based printing software platform that lets users define the angle, thickness, density, and height of thousands of hairs in just a few minutes. 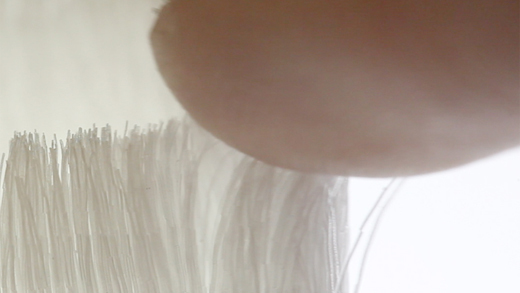 Cilllia - 3D Printed Hair Structures for Surface Texture, Actuation and Sensing from Tangible Media Group on Vimeo. 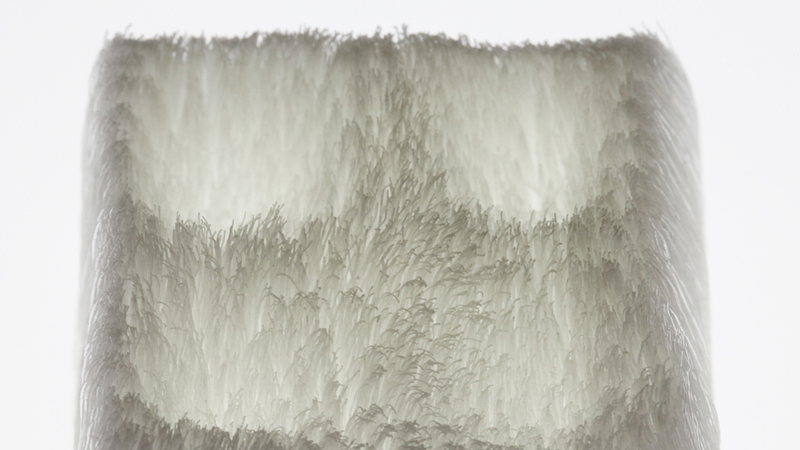 Very cool project working with hair-like structure from 3D printing. 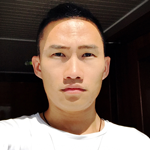 We were impressed by the various applications this hair structure could inspire. Among other things, I was particularly entertained by how the hairy surface could create frictionless plane with little vibration. It would be great to see how these soft hairs were printed with 3D printers. We look forward to seeing some of the possibilities in future products or technologies from this student.